Shōu gòu (Puppy) | Taiwan and On! Charlie was born on July 1st, 2012, making him just 8 months old. 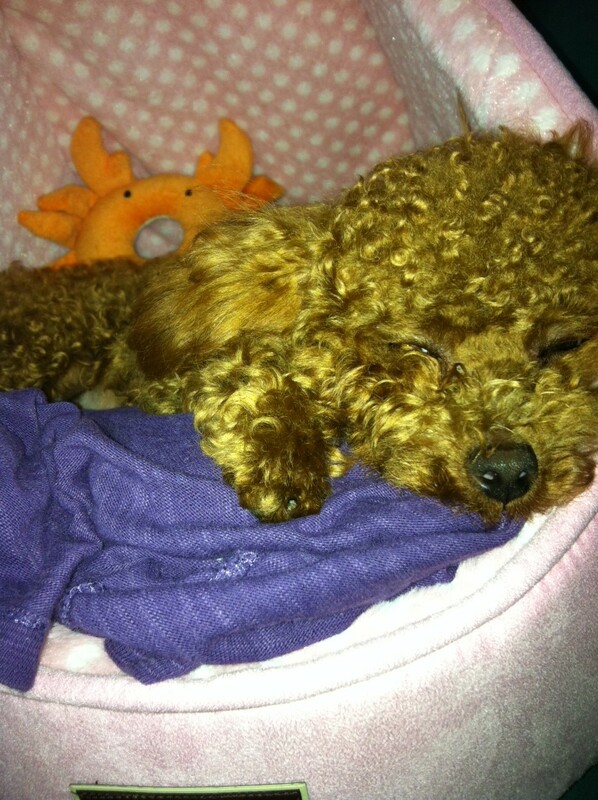 He is a purebred red toy poodle. 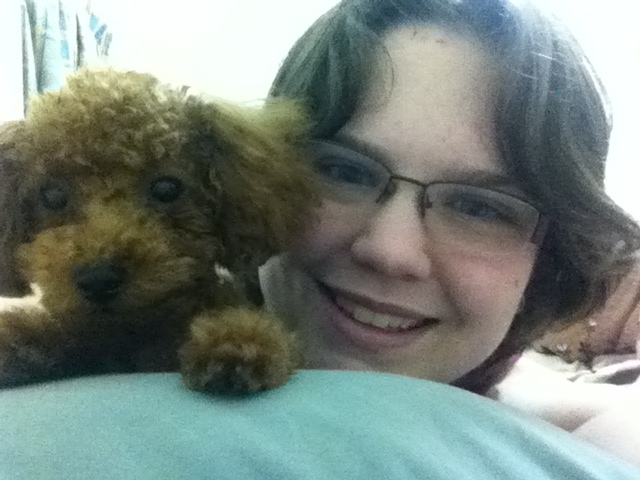 We got him from a good quality breeder in Tainan that ships poodles around the whole world. We got to visit with over 50 dogs and pick out our baby, which was a reassuring and delightful experience. 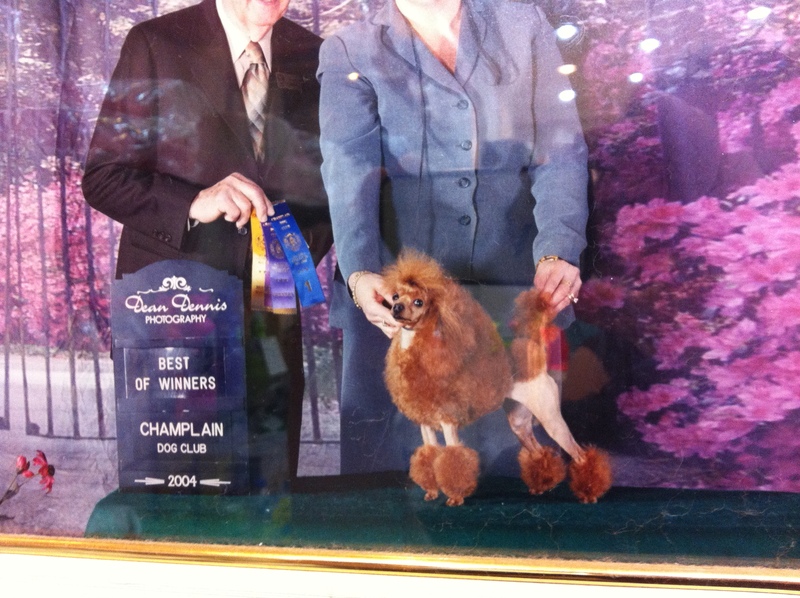 This is a picture of Charlie’s dad, who happens to be a champion show-dog. Wow! He is just a joy to have and is one of the best dogs I have ever had. He’s not the brightest bulb but he has a calm and sweet personality. 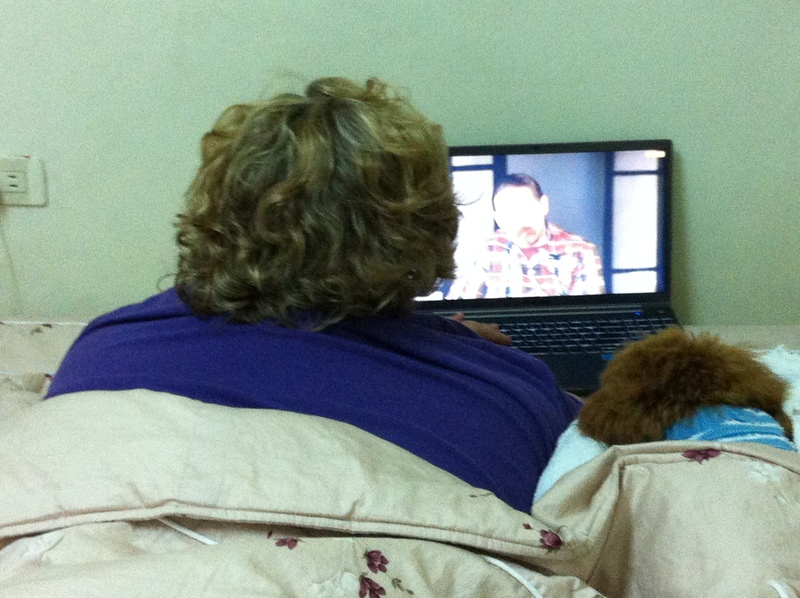 His favorite things are cuddling and watching TV with his mama and mommy. 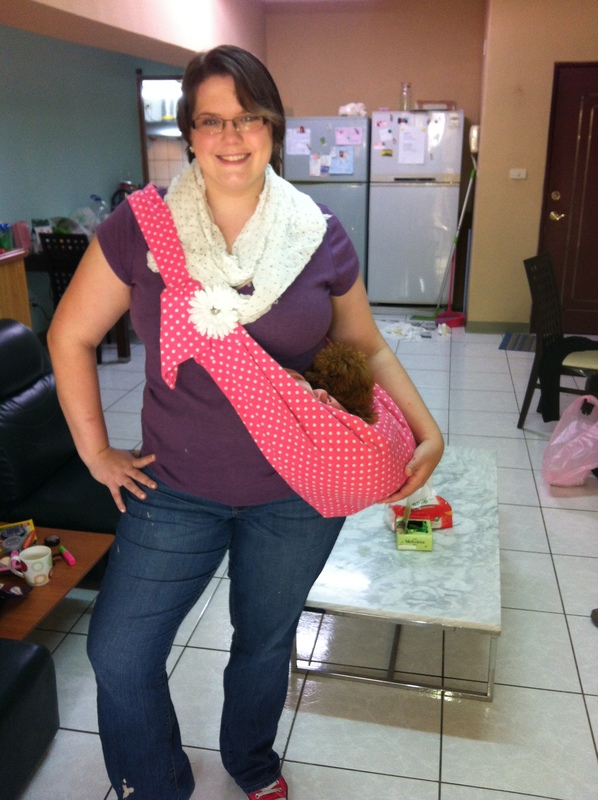 Taiwan is a great place to have a small dog because people carry their dogs with them everywhere. Toy red poodles are considered high-class thanks to some recent fads in Japan so there are lots of high-end shops and cafes for poodles around. 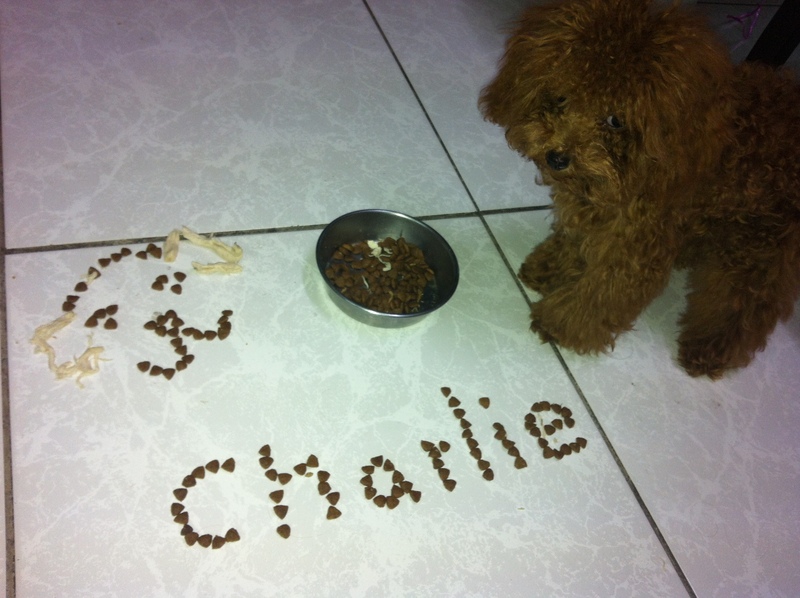 Even places that don’t typically allow dogs will often make an exception for small poodles, Charlie included. And I mean, really, how could anyone say no to this little face!? Charlie will be coming with us back to the USA, he already has all of his vaccinations and paperwork to travel. That’s all for now. If I left out anything, please comment with your questions! Thanks again for reading! How precious!! Charlie is adorable!! 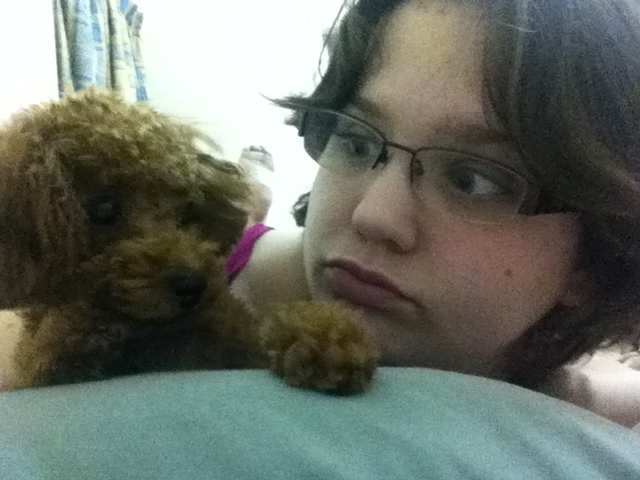 Katie has a toy poodle, too. Do you remember Darcy? We love that he doesn’t shed and won’t affect our allergies, too. Poodles are great dogs! Good choice, Jessica! !